PWTorch.com - ABSURD BREAKING NEWS - Joey Styles is Trying to Sabotage WWE! ABSURD BREAKING NEWS - Joey Styles is Trying to Sabotage WWE! How did this happen? What brought Styles to this point? Vince: You're the voice of ECW. People like you. People respect you. But great news! You're fired! Styles: Who's going to replace me? Styles: Where's Pauly when you need him? (credit to agdomain.rockfacemedia.com for pic). Adamle enters as "the new voice of ECW" and makes the WWE proud. Turns out that the new job of being "director" of wwe.com was just a smokescreen. Turns out that Joey Styles is forced to do certain things, like write fake reader comments for products on wweshop.com and to construct fake news reports (e.g. Jeff Injury). He was placed under supervision in a room because Vince had a personal vendetta against him. And all things ECW related. I couldn't believe my ears when I heard about this. Could a gigantic company like WWE truly be desperate enough to have somebody write fake reader comments in order for people to buy more Triple H pool cues? I was on the case. Styles: Vince, I can't put the word "awesome" in every reader comment section! Vince: Damnit! You will do it or I'll take over ECW! Styles: You already did that. Vince! Damnit! Just do your damn job! Styles: But it's so absurd! What's the point of writing fake reader comments? It boggles the mind! Let me go! Vince: Damnit! Do as I say! In researching wweshopzone.com, it was odd in just how many times one sees the words/phrases "awesome," "cool," "love," "this thing rules," "wweshop rules," and "this thing rocks!" Clearly Joey was crying out for help. He wanted out of this crummy job where he had to write things like "This thing is totally sweet I'm gonna buy the Jeff Hardy armband as soon as it comes out. I love wweshop. WWE 4 life." What people don't know is that Joey Styles is writing secret messages like this one: "Please somebody help me this is Joey Styles and I am being held captive by the WWE." Vince decided that he didn't like Foley anymore as announcer (credit to bestweekever.tv for pic). 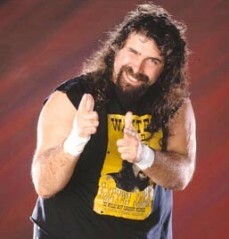 Styles learned that his longtime friend Mick Foley was going to be let go before Summerslam. 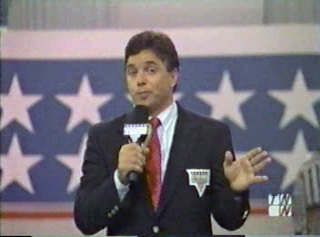 Not only that, but one of the worst wrestling announcers ever (Mike Adamle) was not going to get fired. No, Styles learned. Adamle was going to get promoted to Raw GM. Now it wasn't just about business. It was personal now. What fans don't know is that the "stage falling on Vince" in June of this year was not rehearsed nor planned. Joey talked about how sick he was of McMahon days before the accident. Joey was stunned. They couldn't see that maybe ratings were down because one of their announcers Adamle couldn't even pull off a simple sentence? They were letting Foley go because Vince got upset that Foley liked to mock Vince's boy Kozlov? Throwing money around was just supposed to solve everything? One coworker heard him say, "ECW Champion and now this? Something has to be done!" (credit to farm4.static.flickr.com for pic). There's a reason why fans haven't seen Vince on television. It is because they never did find out who did it. They played it up as kayfabe but in reality somebody was trying to injure Vince. There is heavy evidence that it was Joey who did the act, but nobody could pin it on him. 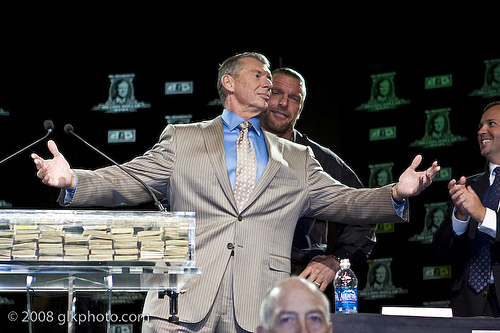 Vince still believes it was a planned storyline and his employees are all too happy to ensure him that it was so. Remember Joey at the Slammy Awards? Alica Fox was actually restraining him so that he couldn't run away. Punk had to go backstage because Joey was making a break for it. And the reason why Joey took a long time to say his catchphrase is because he really wanted to say, "Please help me! I'm being held against my will!" He was under armed supervision the whole time during his trip to Iraq for WWE's Tribute to the Troops. The man is looking for any opportunity to escape. His only chance of escaping is to destroy the company from the inside out, piece by piece. Perhaps the greatest blow Joey could level at the company was to generate negative backlash. Thus, he was the one who wrote the "Jeff Injury" fake news report. He was the one who leaked it out, knowing full well that WWE would get blasted for how sleazy the whole thing was. The one that was written very badly and fooled no one. The one that made the WWE look scummy. It was all at the hands of Joey Styles. The evil mastermind. WWE learned of this and punished him with giving him a glimpse of freedom with bringing him out for the Slammy Awards. Even now, Joey Styles is locked inside a room patrolled by WWE guards, waiting for his moment to strike. What sort of devious plans will he put into action next? Let the truth be known: Joey Styles is trying to sabotage the company from the inside out! He's trying to take down WWE! ECW! ECW! ECW!